Celebrate Vintage Paso: Zinfandel Weekend at the Vina Robles Hospitality Center with us Friday, March 15 through Sunday, March 17. All weekend long, guests are invited to enjoy savings on Mix-N-Match Six-Packs, live music and Bistro Service. 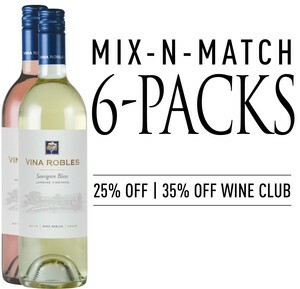 Customers save 25% on Mix-N-Match Six-Packs and Wine Club members save 35%. Mix-N-Match Six-Pack specials are valid on 6+ bottles of Estate Series wines Friday, March 15 through Sunday, March 17. 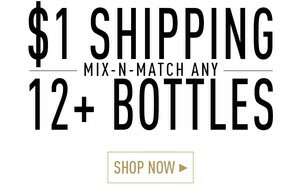 Excludes new releases and large format bottles. Discounts are automatically applied at checkout online and in the Hospitality Center. Offer cannot be combined with any other discounts. Find perfect gifts for friends and family from the comfort of your home in our online Holiday Gift Collection. The elegant gift options featured in this collection will make for a memorable gesture. 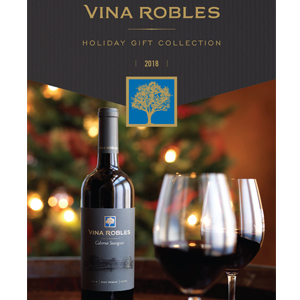 Share your favorite Vina Robles wines with friends and family across the U.S. We are offering $1 shipping on cases (any 12+ bottles - mix-n-match) for the entire month of November. Delivery before Thanksgiving? Order by Wednesday, November 14. For shipments to CT, HI, or LA, please call the Tasting Room at 805-227-4812. Please note that an adult signature is required upon delivery for all packages that include wine. Discount applied during check out. Christmas Eve – Open 10:00a.m. to 2:00 p.m.
New Year’s Eve – Open 10:00 a.m. to 5:00 p.m. Note: Bistro service and Wine & Food Experiences are not offered on Monday, December 24. 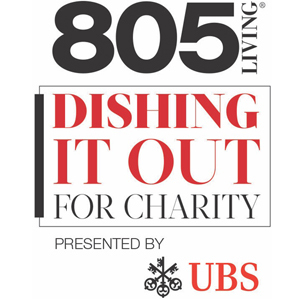 We’re proud to participate in 805 Living’s Dishing It Out for Charity program presented by UBS running through Dec. 31. We’re pledging $2 for every order of Älplermagronen to Boys & Girls Club of North SLO County. Open for Bistro Service Thursdays through Sundays from 11:00 a.m. to 3:00 p.m.